Click here to download the registation form. 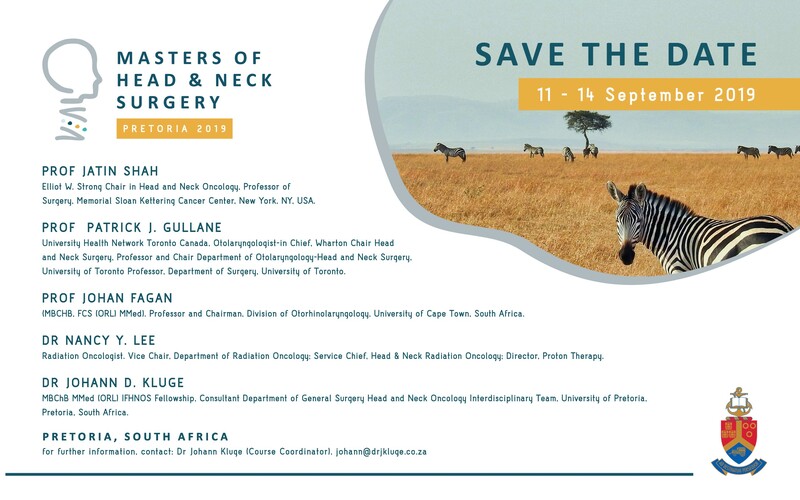 The South African Society of Otorhinolaryngology Head and Neck Surgery, do not guarantee the availability of services offered on this website ("the Services") or the accuracy of the information and/or images on this website. We make no representations or warranties, whether express or implied, and assume no liability or responsibility for the proper performance of this website and/or the Services and/or the information and/or images contained on this website, and the Services are thus used at your own risk. In particular we make no warrantee that the Services will meet your requirements, be uninterrupted, timely, and secure or error free. 3.1.1 1 other than for your personal and non-commercial use, store on your computer, or print copies of extracts from this website, and you may not, other than for your personal and non-commercial use, "mirror" or cache information provided via this website on your own server, or copy, adapt, modify or re-use the text or graphics from this website without prior written permission from The South African Society of Otorhinolaryngology Head and Neck Surgery. You acknowledge that we own the intellectual property rights in and to this website, and that the unauthorized use thereof is expressly prohibited. The word or mark "The South African Society of Otorhinolaryngology Head and Neck Surgery", and "e2", however represented, including stylized representation, all associated logos and symbols and combinations of any of the a foregoing with another word or mark, used on this site, are the trademarks of The South African Society of Otorhinolaryngology Head and Neck Surgery. 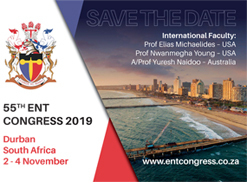 2.2.5 for purposes of the legitimate interest pursued by The South African Society of Otorhinolaryngology Head and Neck Surgery, except where such interest is overridden by the interest for fundamental rights as reflected in the constitution. 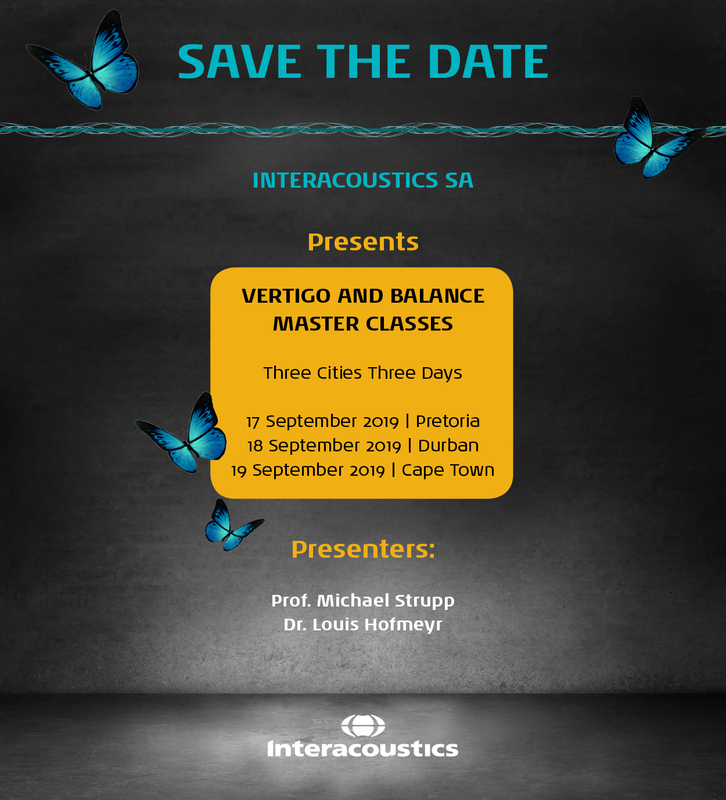 3.2 access to member information by The South African Society of Otorhinolaryngology Head and Neck Surgery personnel, contract workers, consultants, service providers or suppliers will be restricted to the level of access needed to effectively perform delegated or contracted duties and/or the level of service needed to render a reliable and effective service to The South African Society of Otorhinolaryngology Head and Neck Surgery members.